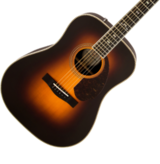 Fender® Forums • View topic - I'm Addicted To Fender Acoustics ! Post subject: Re: I'm Addicted To Fender Acoustics ! I've read lots of posts on here where Fender's acoustics are spoken of with some disdain. But I don't think the Fenders were designed or intended to be direct competition with Martins or $1k plus Taylors. For my money and talent level, my California series Montara has been a great guitar. It's comfortable to hold and play. The pickup had to be replaced due to no output on the low E and A string. Also replacing the plastic nut/saddle with "bone" greatly improved the acoustic/unplugged sound. What's best, what's worst, what's comfortable, all too subjective to quantify. To each his own, based on his needs and wants. I think it depends on what strings you are using as well. I use nothing but Elixirs on all of my guitars and they make a huge difference as far as tone and sound are concerned. I owned a Sonoran a few years ago. I really wanted to love it since it was a Fender. After I set it up and upgraded the nut it played smoothly, but the sound was too dark. My buddy had a Tbucket and it played nicely, but still not bright enough for me. 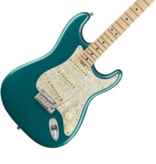 I've played other Fender acoustics and the ones that were set up correctly played well, but the tone just wasn't what I want from an acoustic. I've played many Martins up into the $2500 price range. Those played great, but still the sound was too dark. Played many Taylor's and find their sound more suitable for what I want out of an acoustic. It wasn't 1 of their models over $1000 that forced me to lighten my wallet though, it was the 214 Deluxe. Been playing acoustic for over 40 years and have tried a few Fenders along the way. Never found one I liked. They just don't feel or sound right to me. Ever since I got my new, Fender DG-60 a couple of weeks ago, all I've been doing is playing that along with my Mahogany CD60CE. 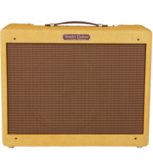 I haven't been touching any of my Electrics at all and am considering selling them along with my Roc-Pro 700 so I can go and buy a Fender Acoustasonic 90 amp . IMO, Fender Acoustics are highly underrated guitars and are great deals for the buck. At my age (55) I'm now done with the band scene anyway and am considering doing a solo gig anyway. Any of you have any Fender Acoustics and if so, what are your opinion of them ? Jeff, the acoustasonic 150 is an amplifier that can do all things well. 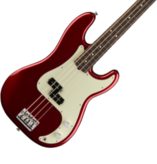 I have put in many hours on a newer (10 y/o) one, great voicing's , reverb and vibrato. Like a mini tremolux. Thanks for the advice Solid Body. I've also have been looking at those as well . The reviews have been really good for those amps . Now it's just a matter of selling my electric gear so I can get one of those. Jeff, a true story, the Acoustasonic 150 which I had been using was picked up at Goodwill for 50 usd, by my friend. In perfect condition but missing a control knob the seller/donator must not have understood the amp's value. Awesome to get some feedback on the Acoustasonic Amp! I've been working on my solo acoustic stuff and was wondering if something like this might make a good investment. I love the idea of being able to show up anywhere with electricity with my Sonoran, a mic/stand, a couple cables and a small lightweight amp and put out quality sound. No need to lug a PA, or make sure the house has one available. This will definitely be my next investment. I totally agree! I remember playing a Fender Kingman that was incredible! I had a Japanese F30 or F35 that I wish I never sold! I've played the new ones and, there is no comparing them to the old USA issue ones. Both craftmanship quality and tonewise they blew the oriental versions out of the water. I have a Fender FJ 70 Jumbo Acoustic Tobacco Burst. 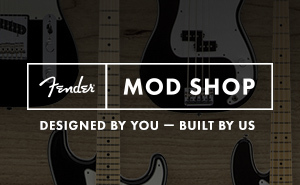 All the web sites and even Fender Customer Service say they only made them from 1980 - 1981. I still have my receipt from December 1978. Brand new with case $410.00. By for the easiest playing and best sounding guitar I’ve ever owned. $410.00 US Dollars in 1978 is equal to about $1,580.00 today according to an inflation calculator I found on line. Just in case anyone is curious.